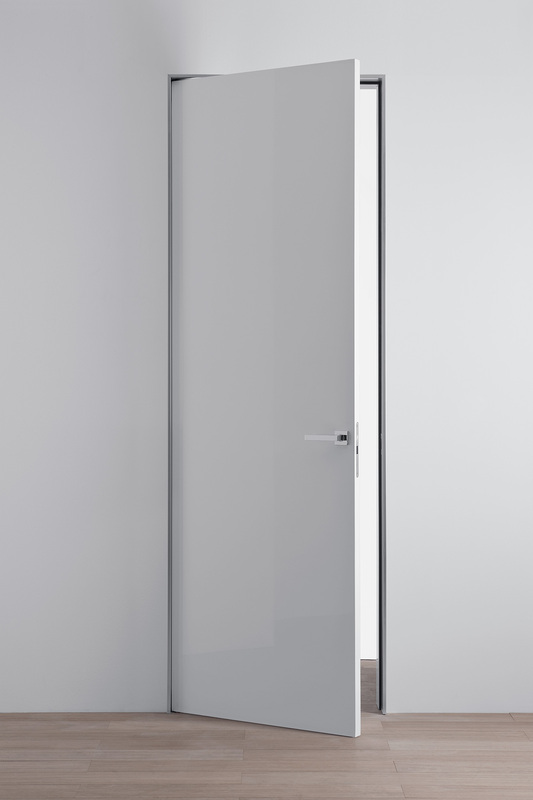 An original presence able to enhance the architectural space with its sophisticated design, created by the contrast between the depth effect of the aluminum jamb and the perfect coplanarity of the wall and door. 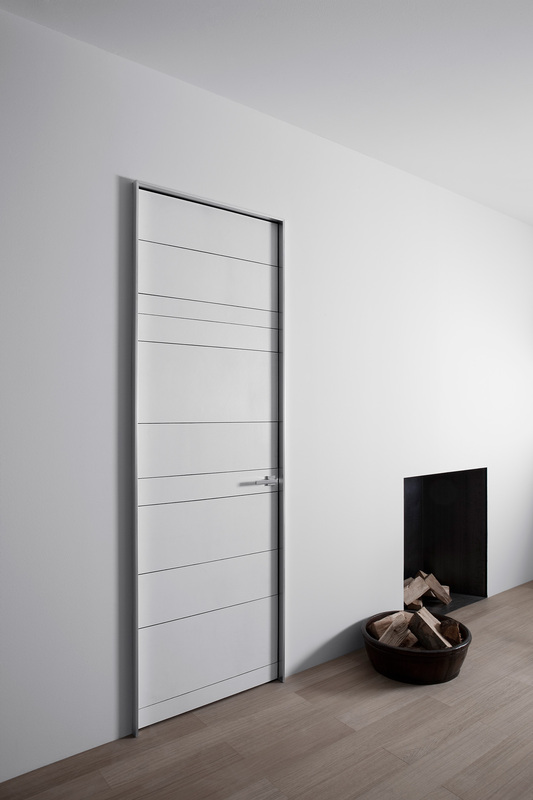 Kyoto is also available in full grain leather, white or natural, proposed in a texture of essential beauty, inspired by Japanese furniture. 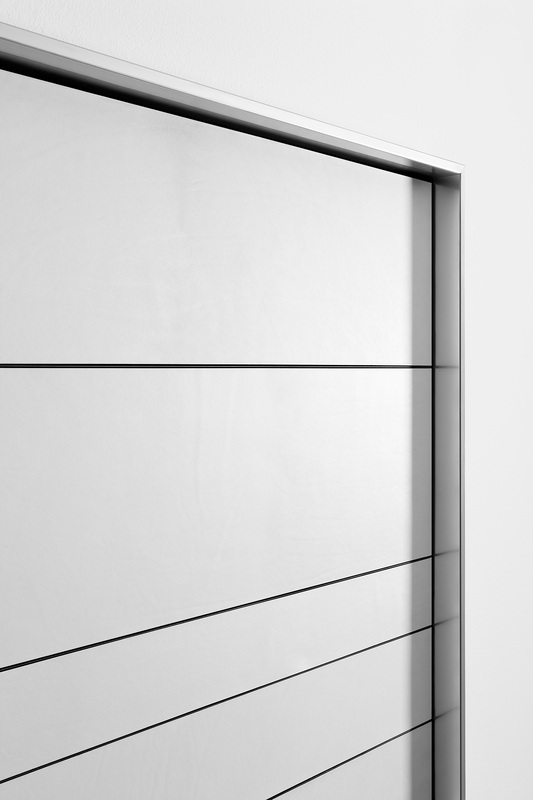 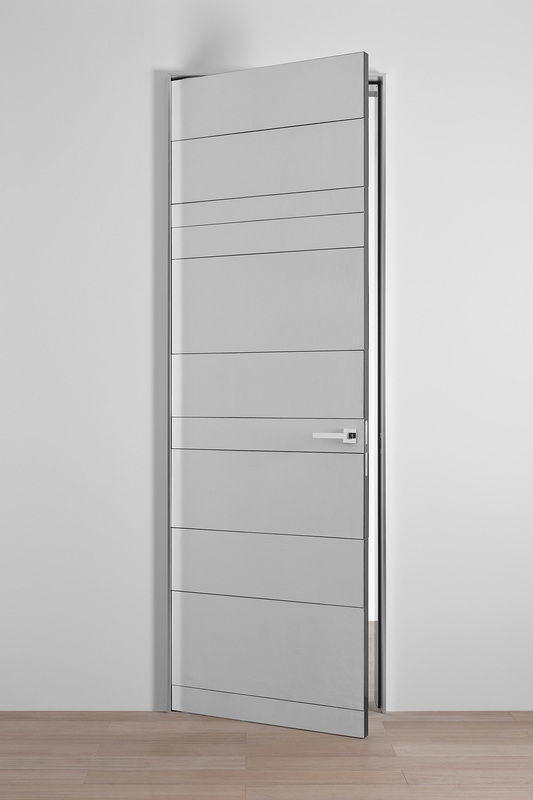 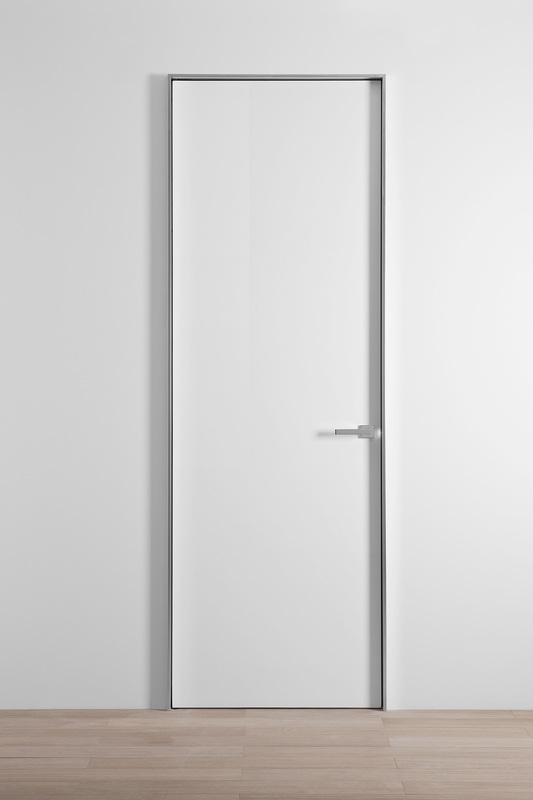 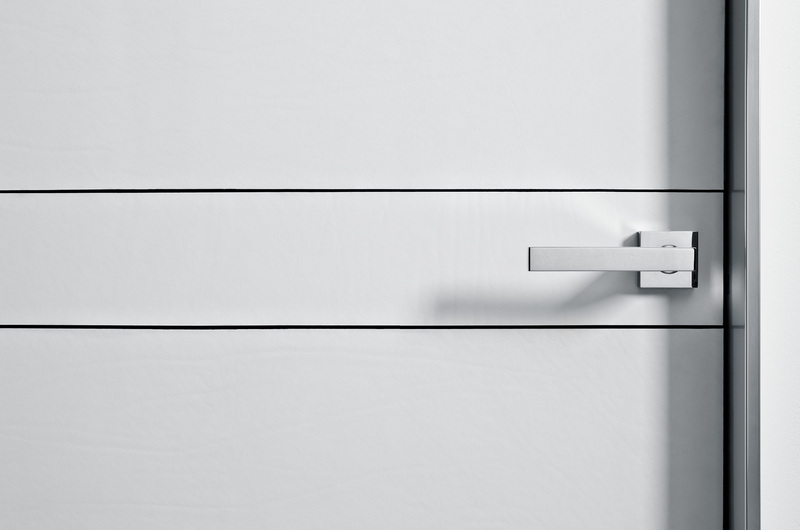 With telescopic perimeter frame in brushed or anodised aluminum finish, the door is available in three versions: glossy or matt lacquered, veneered in a horizontal way in wood essences. 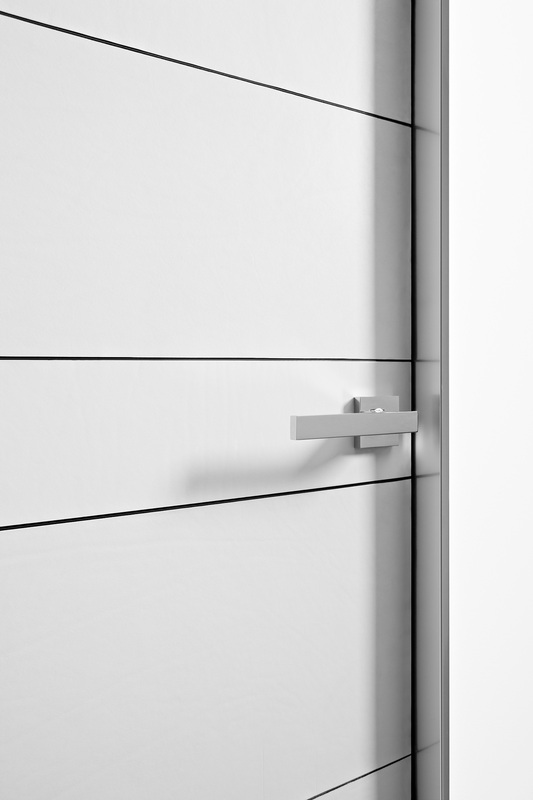 Also available in glass.